Avid readers of Jewlicious already know about Chinese fascination with the Jews, centered mostly around notions of our legendary Jewish business acumen. The Chinese for Jews or Jewish people is çŠ¹å¤ªäºº (YO TAI REN) which means literally, “people of abundance.” All over China, folks are buying books authored by charlatans that offer to share our secret to amassing great wealth. Silly as this all sounds, we may very well be at the cusp of the next manifestation of this stupid trend. I hope all is going well with you. The reason I’m contacting you is because today I had a meeting with a contact of mine (deleted) who asked me for some assistance in finding people for some part-time work in Beijing. Essentially they are in the business of (deleted.) They are looking for some Americans to act as assistants in meetings with potential investors, and essentially act as the “white face” to give some more credibility to the project. He said it would need assistance for about 3-4 meetings per month, maybe more, maybe less – it all depends on how the business goes. Of course this will be a paid job, but I have not discussed any payment amount or payment terms so you would have to negotiate that yourself… The first requirement of the job is that you must be an advanced Mandarin Chinese speaker, since the meetings will all be with Chinese people. Also men only, no females. The other requirement is that you must have some sort of background that Chinese people typically value. My contact is (deleted) and is slightly obsessed with Jewish people and thinks they are the smartest, so he naturally prefers this person to be Jewish. If he can’t get someone Jewish, he would also like someone who went to a famous university — Harvard, Yale, etc. Besides those 2 qualifications, I’m sure he’d be happy with someone who has some sort of connection to someone famous or important, or maybe someone who is really tall and handsome. Basically any characteristic that Chinese people are impressed by – he is looking for in this person. Of course it wouldn’t hurt if this person was good-looking, well-dressed, etc. – I think you can get it. (deleted). What do we learn from this? Well, it should be clear by now that soon we’ll all be working for the Chinese. 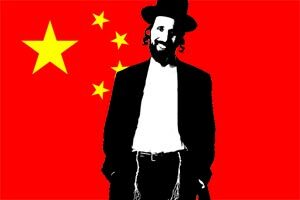 Should you ever want to move to China to seek your fortune, make sure to add to your resumÃ© the fact that you’re Jewish, because in China, being Jewish is the equivalent of a degree from Harvard or Yale. Or being handsome. Or having famous / influential friends. And of course, women need not apply. Sorry ladies. Chinese Worship Ivanka Trump. Uh oh. You forgot to mention that Chinese food is kosher by default. With all due respect, you’re stretching it a bit with the Chinese translation. “Yo” in the third tone means “have” or “possess”, and “tai” in the fourth tone means “excess,” so I can see where you drew the conclusion that “Yo-tai ren (zhen)” would mean “people with too much” or “people of abundance”… but first of all, the word for Jewish people is “Yo-tai-ren (zhen)” with “Yo” in the second tone, and according to both Wikipedia and several reliable sources from the mainland, “Yo-tai” is the Chinese pronunciation of “Yehuda.” “Yo-tai ren” translates literally to “Judaic people,” it has nothing to do with abundance or wealth. Granted, although there’s an extensive and fascinating (albeit little-known) history of Jews in China, the stereotypes you mentioned above DO currently exist, unfortunately… keep in mind though that there’s a lot of misperceptions not only about Jews but also people of color and other Westerners, which I suppose is not that surprising when you consider China was closed off from other cultures/countries/influences until pretty recently. Also, as the Jews in China obviously don’t share the same history of being persecuted as their European counterparts, most people agree that the perception of Jews as overwhelmingly financially successful is based more on media stereotypes than on anti-Semitism. Not saying that Chinese (or anyone, for that matter) are completely free of anti-Semitism or Jewish stereotypes, I just don’t think it’s quite as pervasive as people tend to portray it. 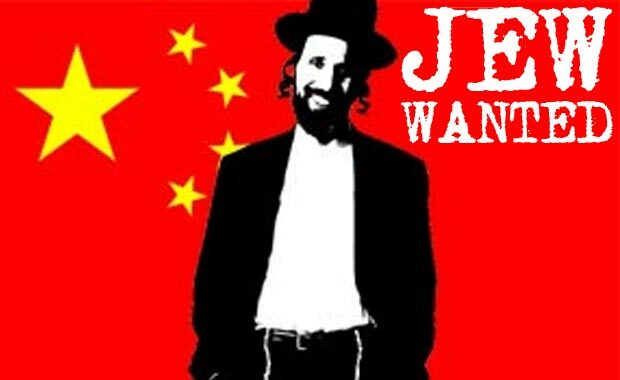 The Chinese fetishization of Jews seems to be, at least for now, relatively benign. sheela is correct that çŠ¹å¤ªäºº doesn’t mean people of abundance. äºº (rÃ©n) means “person” or people. Both of these characters are extremely common in modern Chinese and are basic first-year vocabulary for foreign learners. çŠ¹å¤ªæ•™ (yÃ³u tÃ i jiÃ o) = Jewish teaching/religion (or Judaism). Interesting article. How do I get in on this? Do you have a contact? I would love to see China! Thanks for the prompt reply! I am indeed interested! It sounds like quite the adventure. Can you do me a mitzvah and email me? It’s aaronftruax @ gmail. Thanks in advance – I really do appreciate it! I’m a Chinese born and raised in the USA, and I have US citizenship. I am also circumcised. Can I just say that I am a Kaifeng Jew that came from somewhere else? After all, Kaifeng Jews look like Chinese people. what am i not getting from this article?Or isit just the busenissmentality that was the point here?? Other than the financial success of some stereotyped Jewish businessmen, as a native Chinese man I believe another minor reason of the modern Chinese people’s fascination with the “superior intelligence” of Jews is that the “Great Mentor” of their communist revolution, Karl Heinrich Marx, is also a Jew. And then you have the second most famous Jew in China: Albert Einstein, who most Chinese people believe was instrumental in facilitating the development of the atomic bombs, the ultimate weapon that brought the Empire of Japan to its knees in WWII — tips for those who don’t often watch Asian news: not every Chinese likes their Japanese neighbours. Although very few Chinese know what exactly Kosher food means, quite a lot of their young intellectuals are fascinated with the Judaic faith, which they hold as the fundamental reason why the Jewish people managed to keep their unique cultural identity through centuries of adversity. A wide-spread anxiety among some of these Chinese intellectuals is over the likelihood of their nation loosing its own identity in an age of “faith vacuum”, where people don’t know what to believe in after they are disillusioned with the Marxist communism ideology.